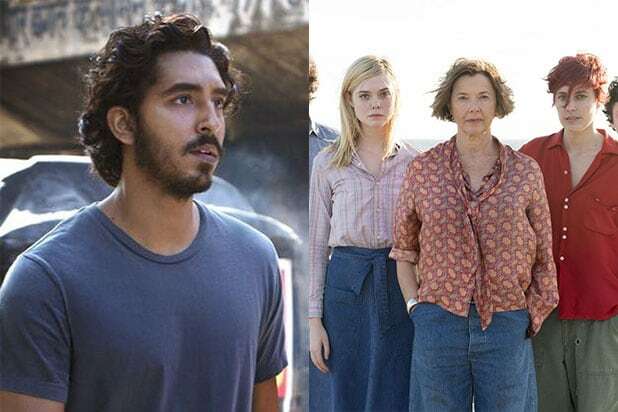 “Lion” and “20th Century Women” are strong holdovers at the independent box office ahead of this week’s Oscars nominations. “Lion” earned $1.8 million this weekend, marking a $16.4 million total gross for the film starring Nicole Kidman and Dev Patel in its nine weeks at the box office. The film had a drop-off of just 20.9 percent, although the theater count of 575 remained the same. “20th Century Women” expanded from 29 locations to 650 locations this weekend, accounting for an increase of 343 percent in weekend gross. Last week, the movie’s per-screen-average was $13,350, while this week, the comedy made $2,155 per theater. Over the three-day weekend, the film starring Annette Bening, Elle Fanning and Greta Gerwig earned an estimated $1.4 million, bringing its cumulative total up to $2.3 million. Both films are expected to get an extra boost should they be nominated for the 2017 Oscars on Tuesday morning. “20th Century Women” was nominated for two Golden Globes but didn’t win, while “Lion” was nominated for four Globes and two SAG Awards, for which the ceremony will take place next Sunday. This weekend’s newcomer, “The Resurrection of Gavin Stone,” came in under expectations with $1.4 million, although the film’s distributor, BH Tilt, had anticipated $3 million. The faith-based film stars Brett Dalton, Anjelah Johnson-Reyes, Shawn Michaels, D. B. Sweeney and Neil Flynn, and is directed by Dallas Jenkins. This weekend also marked another indie newcomer — Sony Pictures Classics’ “The Red Turtle.” The animated film opened in three locations and grossed $21,811, meaning a per-screen-average of $7,270. The French dialogue-less film was directed by Michael Dudok de Wit and first debuted at Cannes Film Festival last May. It was the second weekend for “Worlds Apart” and the Chinese film “Some Like It Hot.” The former earned $12,400 and has made $37,400 since its debut last weekend, while “Some Like It Hot” grossed $13,000, bringing its cumulative to $75,000. “Fences” played in 693 locations this weekend and grossed $1.3 million. During its six-week run at the domestic box office, the drama starring Denzel Washington and Viola Davis has earned $48.8 million. Although Martin Scorsese’s “Silence” expanded to 833 locations after going wide last weekend (and becoming a box office bomb), it suffered a 42.1 percent drop-off and only earned $1.1 million this weekend. The religious drama starring Adam Driver and Andrew Garfield that cost an estimated $40 million to produce has only made $5.2 million domestically. Awards contenders “Manchester by the Sea,” “Moonlight” and “Jackie” all dropped off between 40 percent and 50 percent this weekend. “Manchester” grossed $995,000 in its 10th run at the box office, while “Moonlight,” directed by Barry Jenkins, earned $633,744 in its 14th week. Natalie Portman’s “Jackie” made $365,000 in its eighth consecutive week. 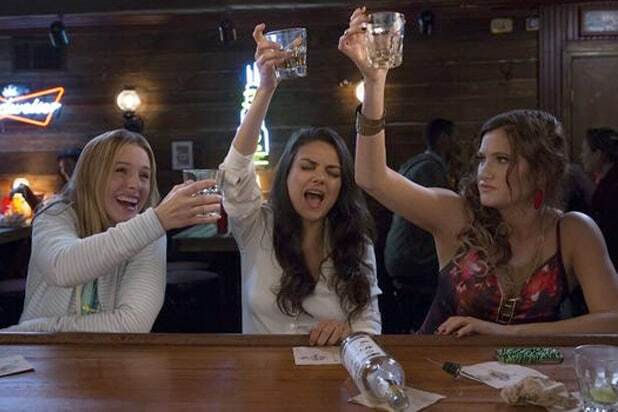 After six weeks in theaters, the female-driven "Bad Moms" became the first R-rated comedy of the year to cross $100 million, marking young studio STX's biggest hit. The film went on to earn nearly $180 million worldwide -- not bad for a movie that was made for a modest $20 million. "Deadpool" is a comedy wrapped inside of a comic book action movie -- and it crossed $100 million months before "Bad Moms." In fact, it's the highest-grossing R-rated movie of the year with $363.1 million in North America and the fifth highest grossing of 2016 overall, just behind "The Jungle Book." Needless to say, the film that took Ryan Reynolds years to bring to the big screen shocked prognosticators with its eventual $782.6 million in global box office returns. "Boo! A Madea Halloween" topped the box office two weekends in a row when it came out. Its success even seemed to shock its creator, Tyler Perry, who told TheWrap, "It’s been 18 years and to see people still coming, it’s very moving to me still because I certainly didn’t think I would do it this long." Sci-fi drama "Arrival" proved it's more than an awards season play when it crossed $100 million worldwide in its third week in theaters. R-rated animated movies always had a hard time surpassing the $55-million range -- until Seth Rogen's "Sausage Party" shattered that barrier, making nearly $100 million domestically over the summer and topping $140 million worldwide. Modestly-budgeted home invasion thriller “Don’t Breathe” seemed to come out of left field, opening to a whopping estimated $26.1 million -- more than double predictions and nearly triple its $10-million production budget. Now, that's scary good. "The Secret Life of Pets" shattered expectations when it opened to a massive $103.2 million -- the sixth highest debut for an animated feature. It's currently the third highest grossing movie of the year with $368.2 million. The bunnies of "Zootopia" hopped over the global $1 billion mark at the box office in early June, making it the second movie of 2016 to cross the 10-figure threshold (the other being fellow Disney title "Captain America: Civil War"). That's some bang up business, especially since the movie is a non-sequel -- a new, original idea. Taut summertime thriller "The Shallows" was made for just $17 million. But the flick, which features Blake Lively outwitting a deadly shark, proved to have sea legs when it made back its production budget during opening weekend and went on to earn nearly $120 million worldwide. Bank heist Western "Hell or High Water" hit that rare sweet spot for an arthouse film -- garnering critical acclaim, awards season buzz and also some solid box office. As of early October, it was the No. 1 highest grossing limited release movie of the year and has amassed an impressive $27 million. You may not have seen the sci-fi comedy "Lazer Team," but what made it a box office surprise is that it made it to the box office at all. Made by popular web series creators Rooster Teeth, the movie's crowd-funding campaign broke records on Indiegogo. The film went on to earn $1.2 million from just three weekends in a very limited release.